When working with diffusion tensor images (DTI) it is important to understand what is being measured. If you would like to learn more about how the diffusion tensor relates to FA, MD, AD and RD, you might want to read this post. A different key question that is often posed in this field is how biological microstructure relates to the different measures that are extracted from diffusion images (like FA, MD etc). The table below attempts to clarify how differences and changes in biology influence each measure of diffusivity individually and what pattern of change across measures you might expect. FA is a summary measure of microstructural integrity. While FA is highly sensitive to microstructural changes, it is less specific to the type of change. MD is an inverse measure of the membrane density, is very similar for both GM and WM and higher for CSF. MD is sensitive to cellularity, edema, and necrosis. AD tends to be variable in WM changes and pathology. In axonal injury AD decreases. The ADs of WM tracts have been reported to increase with brain maturation. RD increases in WM with de- or dys-myelination. Changes in the axonal diameters or density may also influence RD. Feldman et al. (2010). 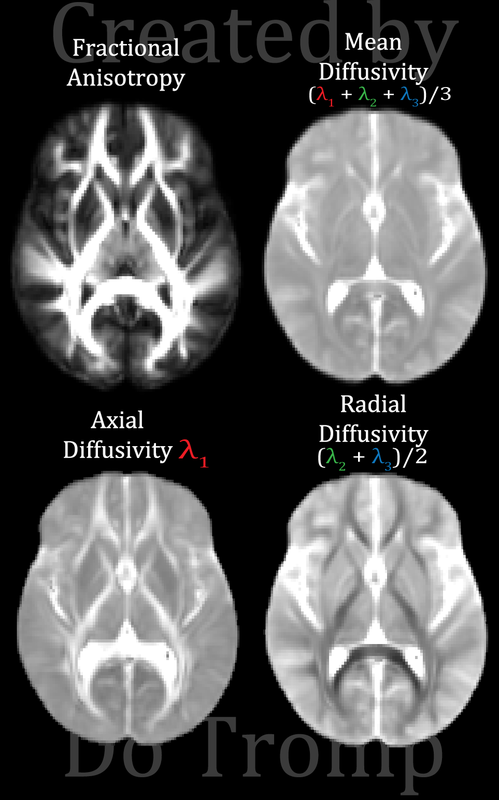 Diffusion Tensor Imaging: A Review for Pediatric Researchers and Clinicians. J Dev Behav Pediatr. Alexander et al. (2007). 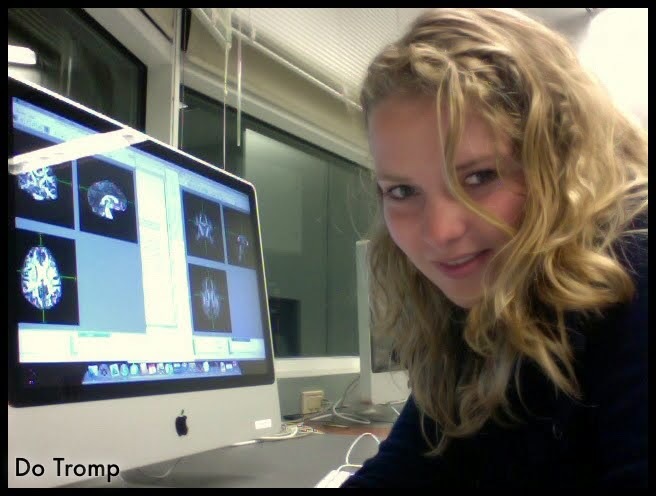 Diffusion Tensor Imaging of the Brain. Neurotherapeutics. Alexander et al. (2012). Characterization of Cerebral White Matter Properties Using Quantitative Magnetic Resonance Imaging Stains. Brain Connectivity.